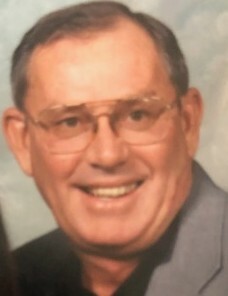 George W. Carrel, of Mason, Ohio, died December 3, 2018. He proudly served in the United States Navy during the Vietnam War, aboard the USS Lexington. He was a Lebanon Police Officer for 13 years. Although delving into many careers paths, his primary focus was on Insurance work until he retired at the age of 70. George is survived by his wife of 40 plus years Patricia Carrel, sons Chad Carrel, Mike Carrel, and daughter in law Nicole. He is also survived by his granddaughter Caitlin, and numerous other grandchildren, great-grandchildren, nieces, nephews, and friends. He was preceded in death by his father George Carrel, Sr., and his mother Marion Carrel nee Bryson, son Kenney Carrel, his dear brother Kim Carrel, beloved grandmother Me-Me Carrel. He loved fishing, hunting and crafting. Most of all George was a very dedicated and loving father, coaching baseball for both of his sons for 13 years. The family of George will be receiving friends for a visitation at Shorten and Ryan Funeral Home - Mason (400 Reading Rd., Mason, OH 45040) on Thursday, December 13, 2018 from 12 Noon - 1:00 PM with a funeral service to follow beginning at 1:00 PM. In lieu of flowers, donations made be made in care of the family to help aide with funeral expenses.